Convicted of murder. Mrs Dorothy Mort was having an affair with dashing young doctor Claude Tozer. On 21 December 1920 Tozer visited her home with the intention of breaking off the relationship. Mort shot him dead before attempting to commit suicide. Aged 32. 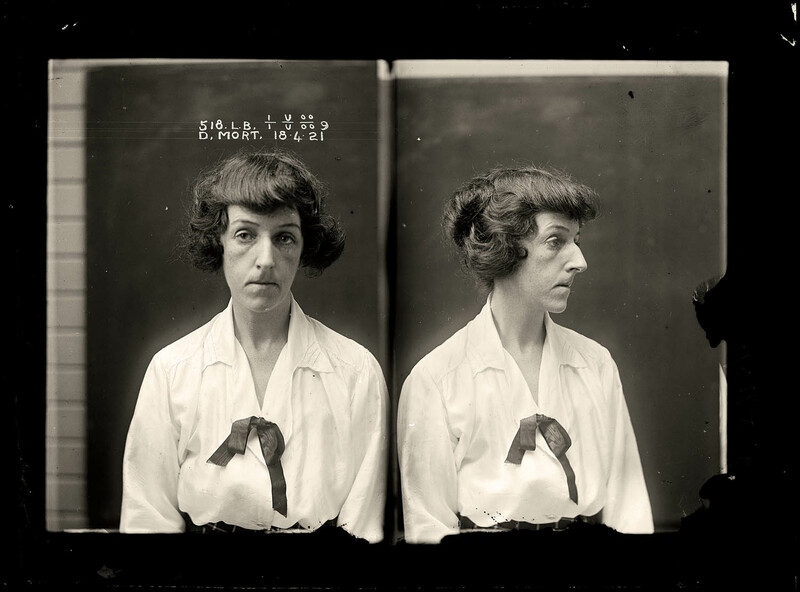 Part of an archive of forensic photography created by the NSW Police between 1912 and 1964. Nerida Campbell Femme fatale : the female criminal Historic Houses Trust of New South Wales, 2008. pp 108 Mark Tedeschi Eugenia: a true story of adversity, tragedy, crime and courage Simon & Schuster Australia, 2012.